Campers form bands, write original songs, and perform in front of a sold out crowd. Girls learn extensive photography and film making skills. Highlights include filming and directing a music video and learning photo editing skills including Adobe Photo Shop and Final Cut Pro. Learn the ins and outs of journalism. 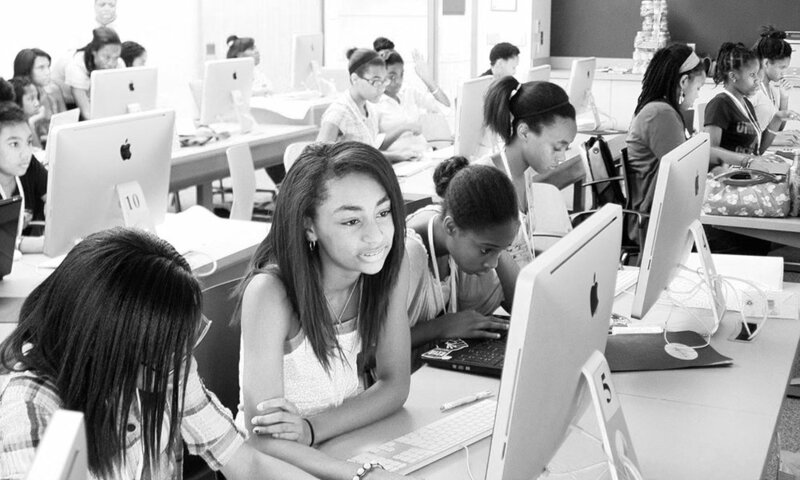 Girls learn basic web reporting, interviewing, editing and news writing techniques. During the Music Production Track campers learn key music production concepts like songwriting and musical arrangement, in addition to learning how to create/modify sounds and even program drum beats and patterns. Have your child turn up the volume! Girls Rock Amplify Camp will have your kids beat-matching, mixing, scratching and more in no time! Campers will learn teamwork skills, problem solving, music theory and even math, all while creatively expressing themselves in fun and exciting ways in an awesome and safe environment. Learn basic to advanced coding. Projects focus on art, storytelling, website and app design.